Tomorrow (actually at midnight tonight) Halloween begins. It’s the time of year when the veil between this world and the “other side” is the thinnest and therefore spirits and ghosts are able to communicate more effectively. Personally, I don’t have any trouble talking to spirits regardless of what date is on the calendar, but I love Halloween just the same. Why? The answer may surprise you: I really don’t know. We didn’t celebrate Halloween that much when I was a kid due to location. We lived in the sticks (at that time) where houses weren’t close together. Children never came to our door trick or treating. Mama drove my brother and me into town if we wanted to go on the yearly candy fest. Then things got weird and razor blades in candy and apples started showing up. Mama put the hex on everything. But we always craved a pumpkin and put its candle-lit face on the front porch. I still do. In High School drama class I played a lying possessed little brat in the play, The Crucial. I lived in Salem, Mass. for over five years, and walked in witchy energy every day, but it wasn’t until I moved back home to Arkansas that my interest in the paranormal started to grow. I became a Tarot Card reader, a Ouija Board nut and loved things that went bump in the night. Then I matured. The Ouija Board is hidden deep in my closet never to be fooled with again, and I just as soon not meet anything that rattles around in the dark. I still read the cards, however and love the ambience of the paranormal. 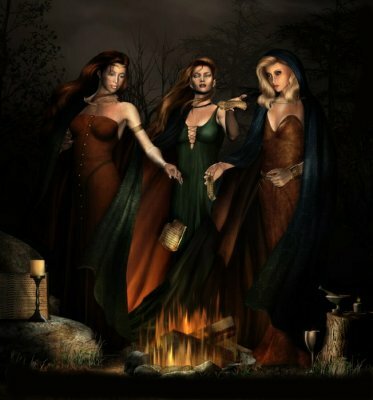 I know I was a witch in a previous life and was murdered because of that. I believe in reincarnation, ghostly encounters, Big Foot, aliens, black cats, astral travel, Voo Doo, ESP, visions, basically all things paranormal. The “Truth is out There,” somewhere and someday I will learn all of it. Another reason why I love Halloween is the weather. The air is crisp, the stars shine brighter, and the night is black as sin. Trees wear coats of yellow, red, and orange. Leaves jump from their branches and scurry across the yard. My blood sizzles. I feel alive. Everything feels Twilight Zone-ish. I like that. About two years ago around Halloween, I had a wonderful dream about a witch. She stood in a clearing, wild wind whipped the trees, lightning bolts scarred the sky. She raised her arms to the night and conjured. Wow! I loved that dream. Actually, I don’t think it was a dream. It was me in a different time. That vision haunted me for months until I finally took the hint and wrote a short story about it. A hooded figure stood tall in the middle of the clearing, arms raised high to the star-infested sky. I stood frozen to the spot. Wind, crisp as a bite from a red, juicy apple, nipped my face and bent tree tops to the ground only to snap them back into place. Thunder cracked. The moon bobbed between the clouds like a silver cork in an inky ocean. Yellow lightning zigzagged to the ground and caught the figure’s face in its flash. From the Sun, I take strength and stamina. From the Moon, I take beauty and grace. She clapped her hands together three times. For a heart beat everything stood still. Something came up behind me. Goose bumps crawled up my back like thousands of red ants. No way was I going to turn and look. Happy Halloween to all that dare to dream and believe. This entry was posted in ghost, HALLOWEEN, paranormal, R.H.Burkett, Ruth Burkett Weeks, The Witch of Moon Hollow, witch. Bookmark the permalink. 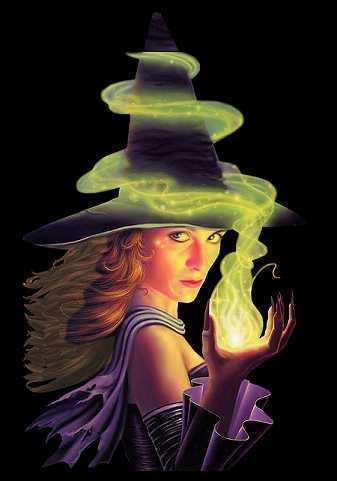 I love all things witchy. Maybe we've crossed paths before in our past lives.